This is exactly what happened today when McDonald’s Australia revealed its tongue-in-cheek new menu item, the McPickle Burger. The global fast-food chain had its followers believing this new item was actually going to be up for order, captioning its announcement with tons of enthusiasm. Pickle lovers, it’s the news you’ve all been waiting for. We’re super stoked to announce the launch of our brand new McPickle Burger. Things took a savage turn when the Australian account of the American chain wrote a comment that shook pickle lovers’ hearts everywhere. This cruel announcement was met with some backlash in the form of customers calling for the McPickle IRL. Right now the world is screaming for the #McPickle to become real, and I’m pretty sure that’s a low-key indictment of @McDonalds hamburger meat. I so want a #mcpickle. 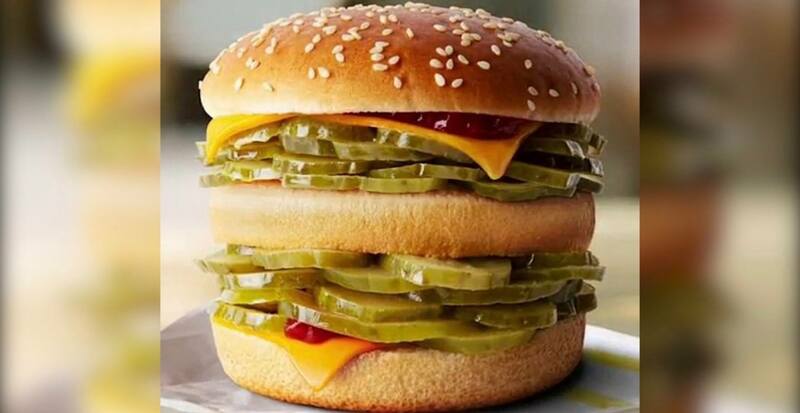 Out of every April Fools joke I have seen today only the #McPickle has teased me with perfection. I need a #McPickle… Immedeately. Congratulations you played yourself, McDonald’s.